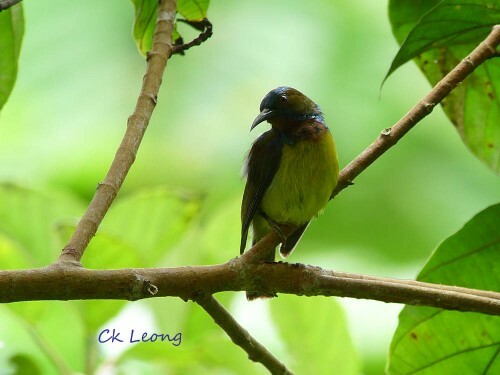 The Brown-throated Sunbird Anthreptes malacensis is a common sunbird of gardens and secondary forests. As with all sunbirds you will need a good dose of sunlight to see its brilliance. The female is plain olive-greenish and best identified by the yellow around the eyes.